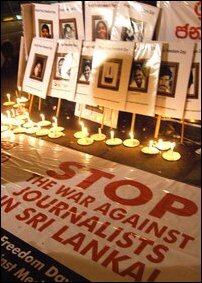 More than a hundred journalists from Sinhala, Tamil and English media participated in the event conducted under the banner: "Stop the war against journalists in Sri Lanka". 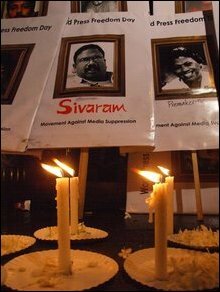 Sunanda Deshapriya, the convener of Free Media Movement (FMM), a Colombo based media watchdog, Poddala Jayantha of Working Journalists’ Association, Sanath Balasooriya, the secretary of the Working Journalists' Association, R. Barathi, the secretary of Ceylon Tamil Journalists’ Organization, Vithiyatharan, the editor of Uthayan and Chudaroli Tamil news papers and several other journalists took part in the candle light campaign. Dr. Vickramabahu Karunaratne, the leader of the New Left Front and prominent members of the party were present at the event. 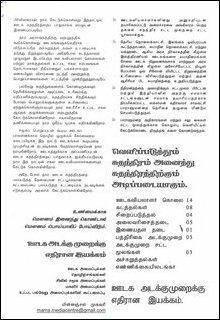 Addressing the crowd, Dr. Karunaratne said, "the [media] repression has increased dramatically with the intensification of the war against Tamil liberation fighters. The first victim of a war is the truth. In particular, any war to curb an uprising demanding national freedom has to be fought with lies and distortions. This means that media freedom will be curbed. Any one who comes out with the truth will be in danger." "There were disappearances and we were told at first these were done for exhorting money by ransom takers. 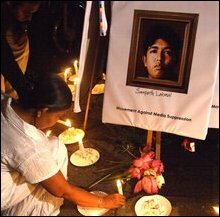 Soon media people were taken away in the same manner and either killed or dropped back after grievous bodily harm. Many threats were made to nongovernmental media centers. Arson and bombing became open and severe." He called on all democratic forces to come forward to defend the freedom of the press. 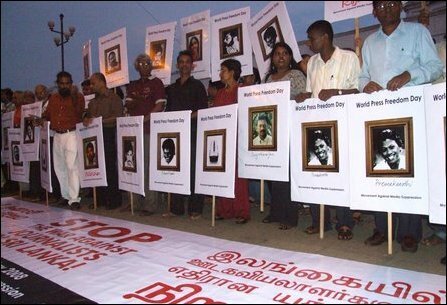 “Stop the War on Journalists in Sri Lanka,” was the slogan displayed in Sinhala, Tamil and English languages in the banner placed in front of the participants. 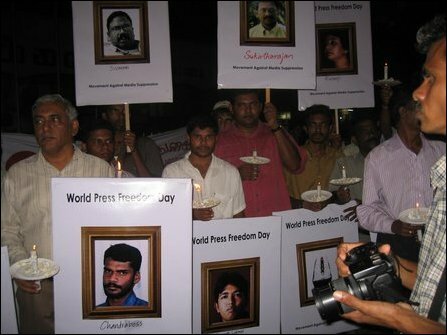 The participants stood around the banner and lit candles and offered flowers besides bearing the pictures of the slain journalists in a gesture of paying homage. The event concluded around 7:30 p.m.